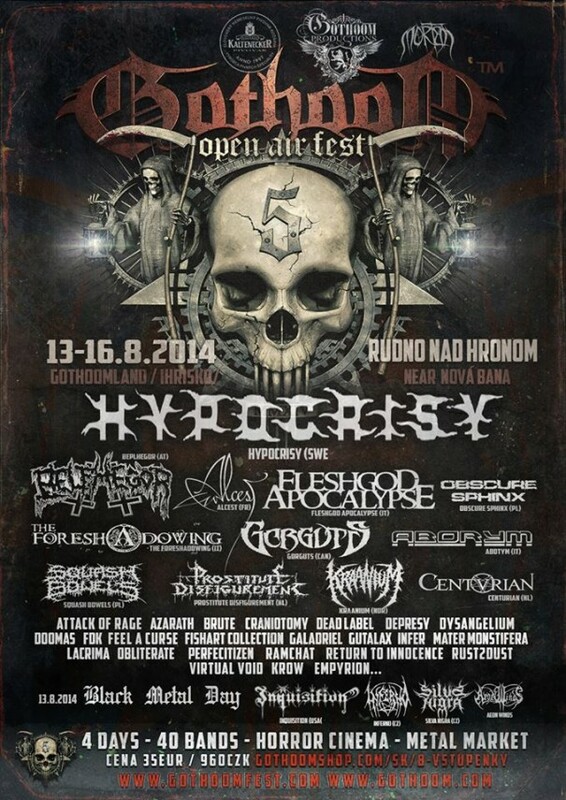 Gothoom Open Air will take place in Rudno nad Hronom, Slovakia on August 13-16, 2014. Hypocrisy, Gorguts and Belphegor are among the bands that will perform at the Gothoom Open Air 2014 festival. Gothoom is a smal metal festival in the middle of the beautiful Slovakian countryside. This year’s headliners are Hypocrisy, with other great names of (mainly) extreme metal following: Gorguts, Alcest, Belphegor, Fleshgod Apocalypse, The Foreshadowing, Aborym, Centurian, Kraanium, Prostitute Disfigurement… Gothoom welcomes many slovak and czech artists in order to support the local scene.